Red Hen Press, 9781597096911, 152pp. 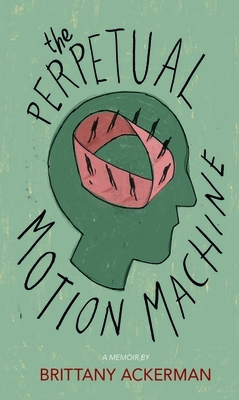 Inspired by a brother's high school science project--a perpetual motion machine that could save the world-- The Perpetual Motion Machine is a memoir in essays that attempts to save a sibling by depicting the visceral pain that accompanies longing for some past impossibility. The collection has been a science project in its study of memory, in the calculation and plotting of the moments that make up a childhood. The preparation has been "in the field" in that it is built upon the gathering of lived experience; the evidence is photo albums, family interviews, and anecdotes from friends. The project has been one giant experiment--to see if they can all make it out alive.